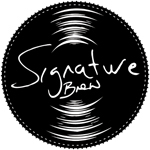 Signature Brew began life as a three man (Dave, Tom & Sam) crusade against the monotonous nature of the beer at all the gigs we had played, and been to, over the years. When the music on stage was a labour of love and art, we didn't want to enjoy it with passionless, uninspiring and insipid lagers. All throughout 2012 we worked night and day to get the beers into venues and music pubs. Reaching out to more artists we loved like Frank Turner, Dry The River and Enter Shikari to join in and work with us on their own creations. Introducing and converting thousands of music fans to proper craft beer along the way, whether at small acoustic shows or taking over the bar at some of the UKs leading music venues. At turns either brewing small batch experimental beers on our nano brewery setup in Hackney or on the much bigger kits we could gypsy brew at around the UK.